Did you know we have a Doomsday Plane? I didn't (at least under that name), although having lived through parts of the Cold War I kind of suspected. 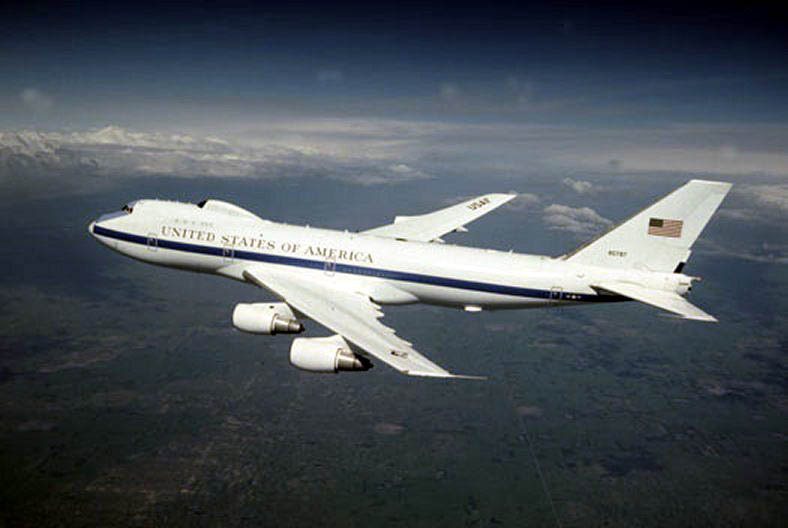 The Doomsday Plane, built out of a Boeing 707 and part of "Operation Looking Glass," exists to make sure that even if the President is blown up and all our military bases are wiped out, never fear! We can still faithfully launch all our nuclear missiles -- including the ones on the subs -- from one of these planes. Actually we have 16 Doomsday Planes because, you know, you can never be too careful. I bring this up because one was evidently circling Denver the other day. At first citizens of the 'mile-high city' were concerned, but when they learned it was just their friendly neighborhood Doomsday Plane a warm feeling of security enfolded them like a cuddly radioactive blanket.